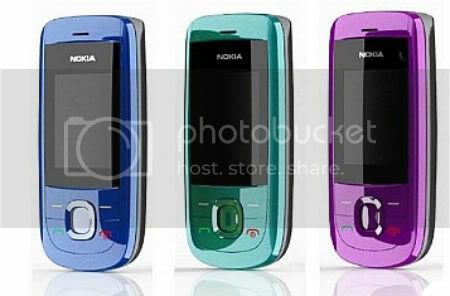 The latest released Nokia 2220 slide comes available in six different colors, offers a small number of features and applications. This Nokia 2220 mobile phone display screen includes a low resolution of 128×160 pixels, which is capable of showing up to 65k colors. Nokia 2220 slide can capture photos using its VGA resolution, and allows you to listen to FM radio. Surfing the internet is also supported thru its pre-loaded Opera Mini Browser via GPRS access connectivity. The Nokia 2220 features a 10 MB internal memory that is unfortunately not expandable (no memory card slot). Nokia 2220 slide offers magnificent basic functionality, that can respond better to your messaging needs than the other Nokia camera phones in the market.